A Sheffield man facing life behind bars for murder has already served a 15 year sentence for imprisoning, kidnapping and assaulting his heroin dealing foot soldiers. Dale Gordon was 21 years old when he was jailed in 2005 for attacking drug dealers he employed who short changed him. Now 33, Gordon, of Benty Lane, Crosspool, is due to be sentenced on Friday for the murder of 23-year-old Aseel Al-Essaie, who was shot dead in Daniel Hill, Upperthorpe, last February. Aseel had just pulled up on the street for a party to celebrate his twin sister's engagement when he was gunned down in a drive-by shooting. Gordon was found guilty on the basis that he was the gunman in the car although it was never proved who pulled the trigger. Driver Matthew Cohen, 29, of Clough Wood Road, Oughtibridge and passenger Keil Bryan, 32, of Brackley Street, Burngreave, were found guilty on a joint enterprise basis in that they were there and aware of a plan to kill Aseel. Catherine Ainsworth, of the Crown Prosecution Service, described the shooting as 'cold-blooded murder'. 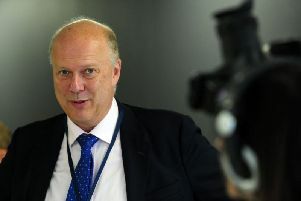 Pat Sharp, whose son Matthew Cohen was driving the car from which Aseel Al-Essaie was shot from last February, criticised Gordon for failing to admit he was the gunman. "He needs to do the right thing and own up to what he did. Two other men's lives have been ruined by his actions," she said. Gordon's last substantial prison sentence was imposed after he stabbed a drug dealer he employed and smashed a car battery down on his hand, leaving him permanently disabled. He threatened to carve his name into another dealer's face with a Samurai sword before shoving the blade up his nose. The men, who used to deal for Gordon, reported him to the police, along with 'middle man' supplier Kyle Bowrage, who was then 20. Michael Slater, prosecuting, told Sheffield Crown Court that Gordon and Bowrage forced an addict to allow her home in Low Edges Crescent, Low Edges, to be used as a drug factory and distribution centre, from which £20,000 of Class A drugs were sold in a month. Gordon then supplied his drug dealing foot soldiers with heroin and crack cocaine on a daily basis and paid them £40 for every £1,000 they made. But trouble flared when they kept £100 for themselves. Seeking retribution, Gordon, attacked both of his employees - stabbing one in his thigh with a kitchen knife, leaving the then 20-year-old with a permanent limp. He then locked the other, who was 18 at the time, in a room and cut him with a Samurai sword, slashing his hands and face. When he managed to escaped Gordon, Bowrage and two other men caught up with him, bundled him into a car and drove him around the streets of Batemoor and Low Edges. His ordeal ended when Gordon - who admitted conspiracy to sell heroin and crack, wounding, false imprisonment, kidnapping and grievous bodily harm - smashed a car battery over his victim's hand, breaking his wrist in two places. When Bowrage, of Stafford Road, Norfolk Park, was arrested he was carrying a loaded sawn-off shotgun and wraps of heroin and crack. He was jailed for 14 years for conspiracy to sell heroin and crack, possession with intent to supply, and possession of the gun and ammunition. The Recorder of Sheffield at the time, Judge Alan Goldsack QC, said their violence had been 'gratuitous and sadistic'. He said: "This case shows the extent of violence dealers are prepared to use to protect their own interests."